I met Frank O’Connor in 2004 on a cruise to New Zealand’s subantarctic islands, most of us were there just to see the fantastic array of seabirds in these southern oceans but Frank had another motive, adding birds to his Australian list. Our southernmost destination, Macquarie Island is in fact an Australian territory and as well several penguins and many tubenoses, Frank had a chance to add that most riveting of birds to his Aussie list – Lesser Redpoll! Redpolls were introduced to New Zealand in the 19th century and spread down the subantarctic islands as far as Macquarie, however they remain quite rare that far south. After we had seen and photographed penguins, Elephant Seals and all the other wonders on the subantarctic, most of the group went on a concerted Redpoll hunt for Frank, but to no avail. Macquarie Island – full of Royal Penguins but short on Redpolls. Frank also obtained notoriety when he perched on a ledge in the bridge and during a 10 metre swell got catapulted across the room and into the captain, breaking his arm in the process (his arm not the captain’s). Frank had recently arrived in Dorset to visit his sister in Bridport and after a number of successful visits to the Weymouth area with other birders, came to the Poole area in the hope that I could find him a few new species. At Holton Lee we soon located a Great Spotted Woodpecker and down at Wareham Channel saw plenty of Med Gulls. At Sherford Bridge we saw a nice range of species including Frank’s first Green Woodpecker and Crossbills although we failed to get tickable views of Siskin. 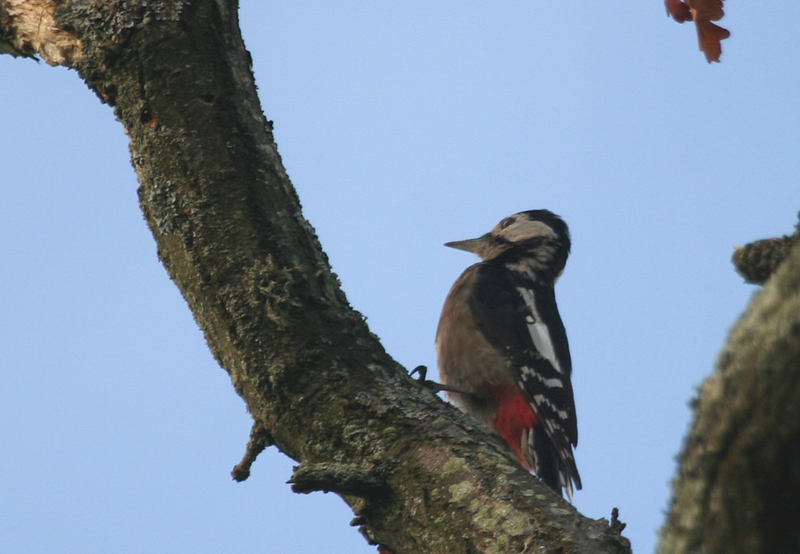 Frank had seen Great Spotted Woodpecker before in Turkey, although quite poorly, but Green was a life bird. Finally we visited Middlebere where we found some Grey Plovers, Dunlin and Bar-tailed Godwits in summer plumage and saw a Hobby and Marsh Harrier. In the end, in spite of it being a cold and grey day, Frank had three life birds and a whole bunch of new birds for his UK list. He had a little time the following day before his flight to Perth so I suggested Blashford Lakes as a reliable Siskin stake out. I hope he succeeded. On Friday evening we went to a barn dance at Upton Community Centre, organised to celebrate Helen Cooper’s (a friend of ours from the Nexus organisation) 60th birthday. It was a very enjoyable and well attended evening, but I forgot to take my camera. A bunch of Nexuns on a Purbeck hike. Helen is on the left, wearing dark glasses and standing up.